Features a powerful pull-back motor, sturdy front bumper, large rear spoiler, wide black rims with low profile tires and an engine pop-out function, which is activated on impact. Check out the lime-green, red and gray color scheme with cool racing stickers. Bring on the 42073 BASH! and let the race begin! Activate the pull-back motor to launch the high-speed WHACK! New-for-December-2017. See the engine fly out of the vehicle body on impact WHACK! 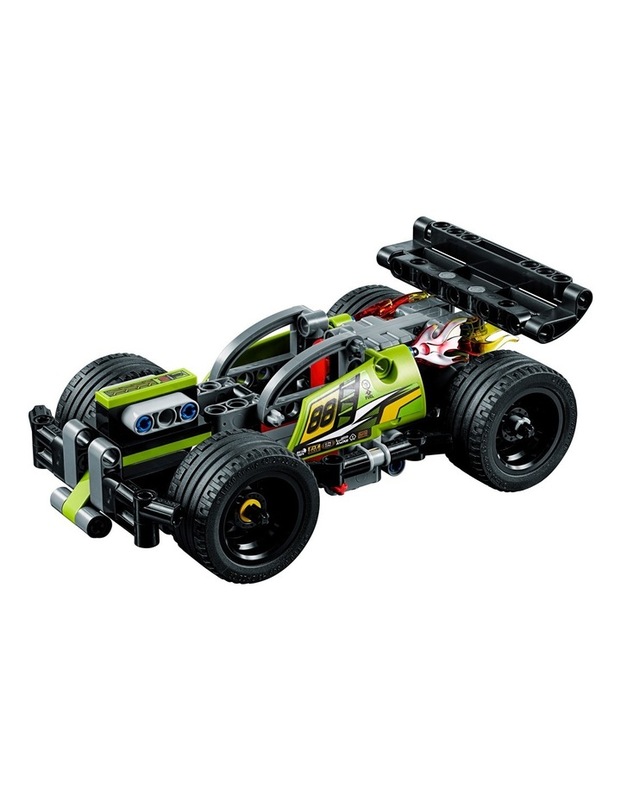 This LEGO Technic advanced building set is designed to provide an immersive and rewarding building experience. 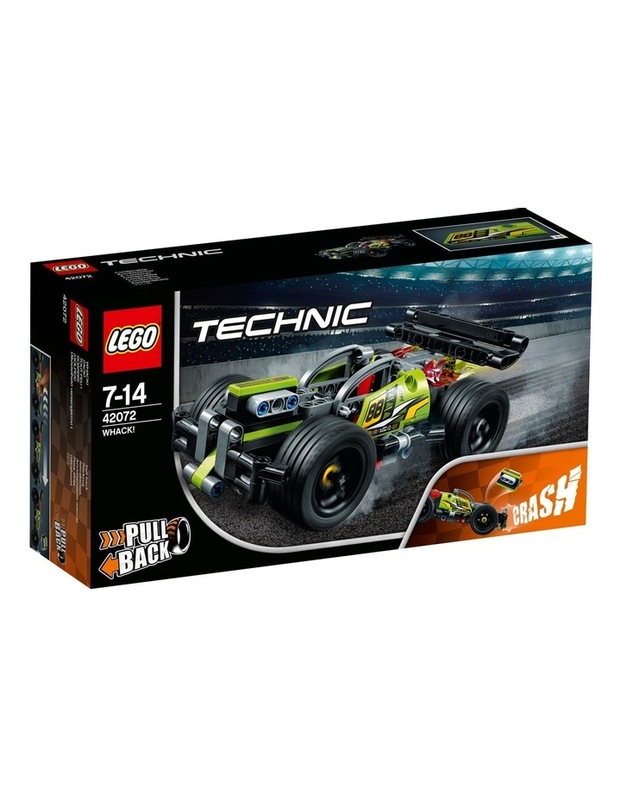 Combine with the 42073 BASH! to create an awesome WHACK! N BASH! combi model with 2 pop-out engines! Suitable for ages 7-14. WHACK! measures over 2 (6cm) high, 6 (17cm) long and 3 (9cm) wide. Combi WHACK! N' BASH! model measures over 3 (9cm) high, 7 (20cm) long and 3 (10cm) wide. 135 Pieces.